AIRPORT AND AIRLINE FOOD...ARE YOU JET-LAG OR JET SET? 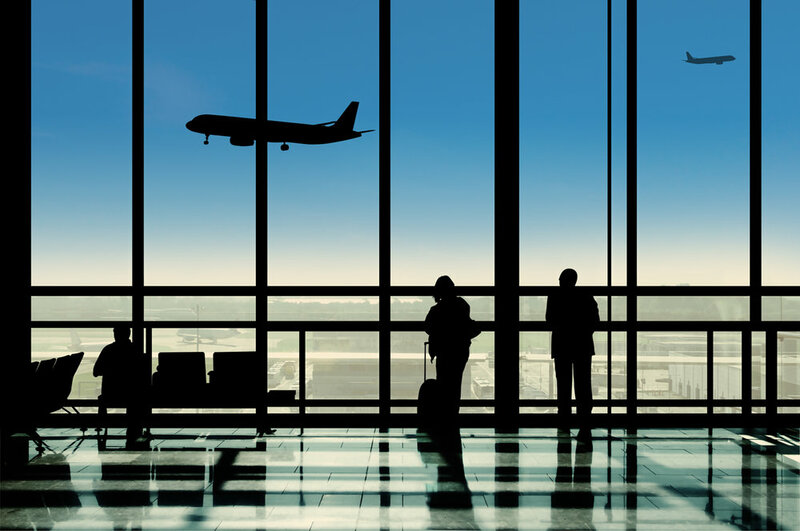 CHECK OUT THE FOLLOWING TIPS TO DISCOVER SAVVY AIRPORT AND AIRPLANE STRATEGIES TO BE A HEALTHY JET-SETTER! Whether you find yourself constantly traveling for work, or just take a single vacation each year, being hungry at the airport can sabotage your healthy eating habits. Many of the millions of people coming in and out of airports across the world think they have no choice, and believe they have to eat “unhealthy” airport food because it’s the only thing available allowing their surroundings to control their lives and their health. The good news is, we DO have choices and can take charge of everything we put in our mouths, here’s how to get yourself jet-set! WHAT TO BUY OR BRING - TOP 10! Make a plan before you go. 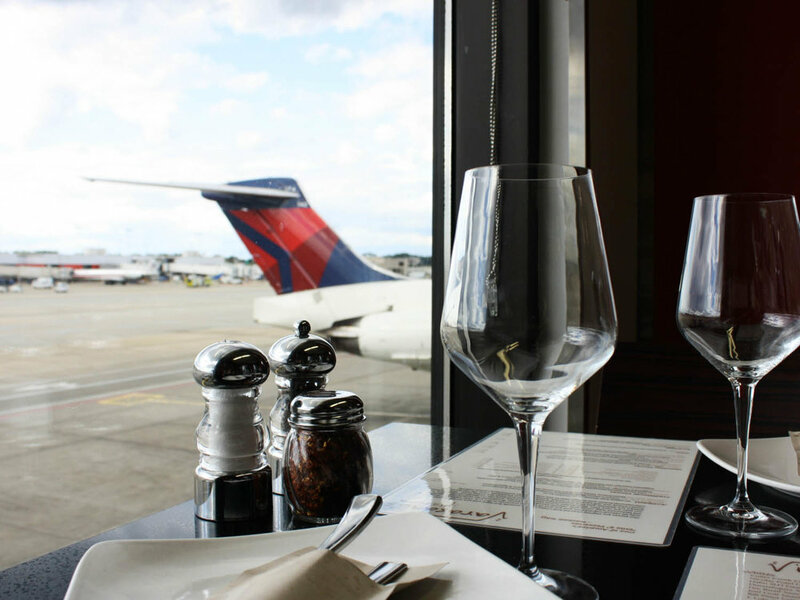 Check online for a list of airport restaurants or to inquire about your airline’s food options. If no healthy snack or meal options seem available, try to eat a balanced meal containing carbohydrates, vegetables, lean protein like fish, eggs or lean meat and not too much fat, salt or sugar before you leave (why under “jet bloat” below). What you ingest in the hours before your flight can affect digestion, bloating, fatigue and stress, so airport food choices are probably the first important decisions of your trip! BRING YOUR OWN. One way to know for sure that you'll have food that suits your body and appetite is to bring your own. Protein-rich snacks such as cereal bars, unsalted nuts, fruits like apples, bananas or dried fruit can all help reduce bloating and dehydration while flying. DRINK WATER. Ensuring the minimum recommended 1.5 litres of water per day is especially important as it can help with both digestion and hydration. TRY A JUICE BAR. Many airports now have juice bars that make fresh squeezed green juice, smoothies or cold pressed juice in bottles. FRESH FRUIT OR FRUIT SALADS are always a good healthy option. If you're in a rush to make a flight, grab a fruit cup, banana or apple to take on the plane. YOGURT, which can often be purchased at airports, is a filling protein that can help soothe the gastrointestinal tract and promote digestion. SANDWICHES. Look for whole-wheat or whole-grain bread, lean meat or vegetarian fillings, and tasty, healthy condiments like mustard or pickles. SALADS. Aim for lots of colour in the lettuce and veggies and avoid heavy dressings or sauces. GRILLED FOODS. Look for restaurants offering plain grilled lean meats, avoiding greasy or fried foods to facilitate digestion. SUSHI which is light and easy to digest is readily available in many airports. However, beware of using too much high sodium soy sauce which could promote water retention during the flight. NUTS. Nuts are great source of heart-healthy fat and protein. However, be aware that one serving – about 30 grams – contains approximately 200 calories and 15 grams of fat and many bags sold in airports contain as many as 10 servings! To help avoid eating an entire bag mindlessly, try to purchase smaller portioned bags. WHAT TO AVOID BEFORE FLYING - TOP 5! ALCOHOL. Though a pre-flight cocktail at the airport might calm your nerves, it can also make your flight more unpleasant due to the dehydrating effect of alcohol which can lead to headaches and other feelings of discomfort. CAFFEINE. Coffee, energy drinks or soft drinks can have a mild diuretic effect promoting dehydration as well as disturb normal sleeping patterns. FRIED, GRASY, RICH OR PROCESSED FOODS can be more difficult for our bodies to digest when we are sedentary and at a high altitude since these foods tend to stay in the stomach longer and might trigger acid reflux. CHEWING GUM. Though gum might help for ear popping, the continuous chewing can make us swallow more air and cause extra uncomfortable gas. IRRITATING FOODS. If you tend to get stomach upset while flying, avoid foods and beverages that are often shown to irritate the stomach like salty, spicy or fatty foods, and alcohol, carbonated or citris beverages. ON THE PLANE - TOP 5! Many airlines no longer offer meals except on longer flights and it is not so simple to bring food to the airport these days for security reasons. In addition, a recent survey found that airlines have a long way to go in making their meals and snacks nutritious and low in calories. However, some improvements in providing healthier meals have been observed and will probably continue as customers become more interested in what they eat and put pressure on airlines. Here are some on-flight tips to be jet-set! ORDER AHEAD. If you do find yourself on a meal-service flight, most airlines websites will indicate whether they serve meals and define the options available such as low-cholesterol, vegetarian, etc. PACK YOUR OWN. If you bring your own food, you have total control over what you eat. High protein, high-fibre choices that help make you feel fuller, longer such as nuts, cereal bars or fruits travel well and are allowed at the security line. DRINK WATER. A steady supply of water can help prevent altitude dehydration and keep you walking up and down the aisle to the bathroom to keep you moving which is especially important on long flights. WATCH OR WORK INSTEAD OF EAT. Many plane passengers aren't really hungry but perhaps bored and eating is often just something to do because the food is there. CLOSE YOUR TRAY or open your laptop to manage food triggers, until the service is over. EATRA! FOODS TSA ALLOW- TOP 5! In the United States and in most countries, the transit authorities allow you to bring food through the security screening and on board. Here are some items that work well and should not get confiscated. HOMEMADE sandwiches wrapped in paper and/or stored in a plastic bag. Keep in mind that all food carried on will need to go through the x-ray machine, so, never use aluminium foil or they may ask to search your bag and delay your travels. FRESH FRUITS & VEGGIES, such as apples, bananas and avocados. If you cut or peel them ahead of time, they need to be wrapped in a plastic bag or carried in a glass container. CRUNCHY SNACKS such as crackers, popcorn, dried fruit or nuts. SALADS in glass containers or plastic. Salad dressing can be packed separately as long as it’s in a 100g or smaller container. EMPTY THERMOS OR WATER BOTTLES of any size which can be filled up beyond security. Check out this app on the TSA website to search for what items may or may not be currently allowed in your carry-on. If you are traveling internationally, only bring enough food for your flight in your carry-on because you will likely need to throw away any leftover food when you arrive at customs in your destination country. Before you leave, review the customs restrictions for your destination, to see what you may be able to bring into the country you are visiting.